To be clear - i am also saying rates won’t go to 20%. But rates going up (we will disagree on how much BoC left for interpretation going forward - I think they are saying rates are going up but they can’t promise how fast) and that combined with new qualification rules means less demand. And full disclosure - I am on a variable term but have a low LTV (approx 20%) so rate increases don’t hit my pocketbook too bad. Ie don’t live month to month. Weathly immigrant destinations like Vancouver and Toronto will be less effected by higher rates. Many are cash buyers. But higher rates will knock out smaller markets much earlier. The panic in those markets will signal a direction for the BOC well before any significant effect in Van/Tor. Psst, Ottawa is a small market. Psssst - I know it's hard to believe in Vancouver but the economy is effected by more than just RE. Rates aren't solely dictated by RE prices, affordability or sentiment. And double pssst - people aren't borrowing from Peter to borrow more from Paul so they can squeeze into the RE market in Ottawa. Prices are reasonable to begin with. They already knew the economy was going to contract thats why the ambiguity in language used when not raising rates. People can take comfort that rates are not going anywhere fast. I’m going to go out on a limb and say that Canada and American will never raise interest rates to anything meaniningful EVER again. Its been to long on emergency rates. To much borrowing and it will crash the system to get off the “cheap money| just like Japan. Here is a youtube video to help those visual learners. If you are a home owner and you are in debt and paying a variable rate mortage, if the rates rise from 3-6% and you become insolvent. What happens to the Federal gouverment when there payments increase as well? They choose the rate and which they borrow thier own money. Why would they raise rates on themselves? "One should be careful in not getting too gloomy on Canada's softened growth in the third quarter," said Bank of Nova Scotia economist Derek Holt, who estimated third-quarter growth at just 1.5 per cent annualized in light of the August decline. "After 4.5-per-cent growth in the second quarter … what did you expect?" "Economists also noted that the August setback wasn't reflective of a broad-based slowdown, as 12 of 20 major industry sectors showed growth in the month. The overall result was weighed down largely by declines in manufacturing and in oil and gas extraction, both of which were slowed by temporary maintenance shutdowns. "With much of the third-quarter weakness seemingly down to temporary factors, and growth still tracking above potential, there is no reason for Canadians to worry," Brian DePratto, senior economist at Toronto-Dominion Bank, said in a research report." Two side to every story eh. So again, I ask which government policy is controlling real 3 prices? 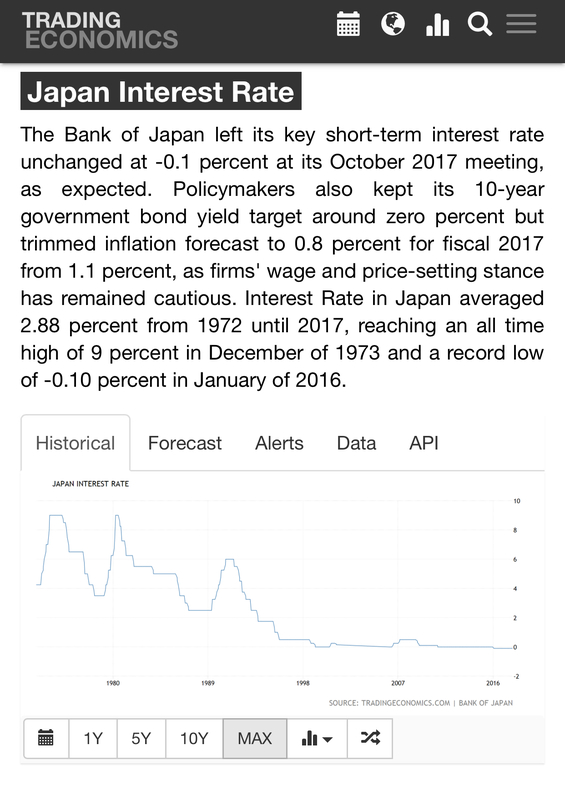 For those that love to reference 1981 interest rates. The federal debt in 1981 was 92 billion. It's now 616 billion. How eager do you think Fed is to pay higher interest rates on it? I agree that its not all doom and gloom. At the moment the economy can be viewed as half full or half empty depending on how the light is reflected of the moon and refracted off the ground. But everyone will also agree that no matter how you spin it, the economy is not on fire and bursting at the joints warranting imminent higher interests rates to cool the hidenberg down. I think we can agree that we are both just differing darkness of grey. I think all the signals are there for consistent rate increases for the next 2-3 years. You don’t agree but allow for the chance. I think it is very possible that rates stay stagnant or maybe come down. Remember, the thread we are posting in says that we will NEVER get to 5% - like 5% is astronomical. The only people think that will never happen is mortgage brokers, realtors, people that are over leveraged and ETB. They all have financial incentives for rates not to move - we just don’t what ETB is. My guess they believed their own kool aid and over leveraged. Even though they held steady, they sent a pretty clear signal that we can expect a .50% - .75% increase in rates in 2018. If not more. And if the US can raise rates while their debt is so high (106% to GDP), why can't Canada (92% to GDP)? For clarity, because some posters can't read on their own and require information spoon fed to them (eg ETB), the article is about the US. Probably has nothing to do with Canada. For those that don't know how economics work, GDP in 1981 was $360B. It's now $1,987B. The debt to GDP has changed from 25.5% (1981) to 31.1% (2017). In relation to GDP, they are paying less interest now than they were in 1981... even if they double or triple rates. Economics is not that cut and dry. i definitely agree with your points, but I think rates will reach a pain-point for many.